Chalet Papillon 1 in la Rosiere is a duplex chalet apartment on the first and second floors of the Chalet Papillon development. The open plan lounge and dining area on the upper level has comfortable seating around the fireplace; there are picture windows giving access to the balcony. All bedrooms in chalet Papillon have full en-suite facilities; there are two communal saunas and plenty of underground parking. Chalet Papillon has free Wi-Fi internet access, for those who really cannot do without it while on their ski holliday in la Rosiere . These ski chalets have proved to be very popular with regular our guests. There is a ski deposit together with boot warmers on the ground floor. The chalet's prime position near to the pistes allows you to ski to and from just 75m away. It is close to the Les Eucherts Express 6-seater chairlift, ski school meeting point, kintergarden and nursery slope, all of which are a short walk or ski away in the morning. Les Eucherts links to La Rosiere 1850 via a pretty forest track which can be easily walked in 15 minutes. Alternatively you can take a short local bus ride. 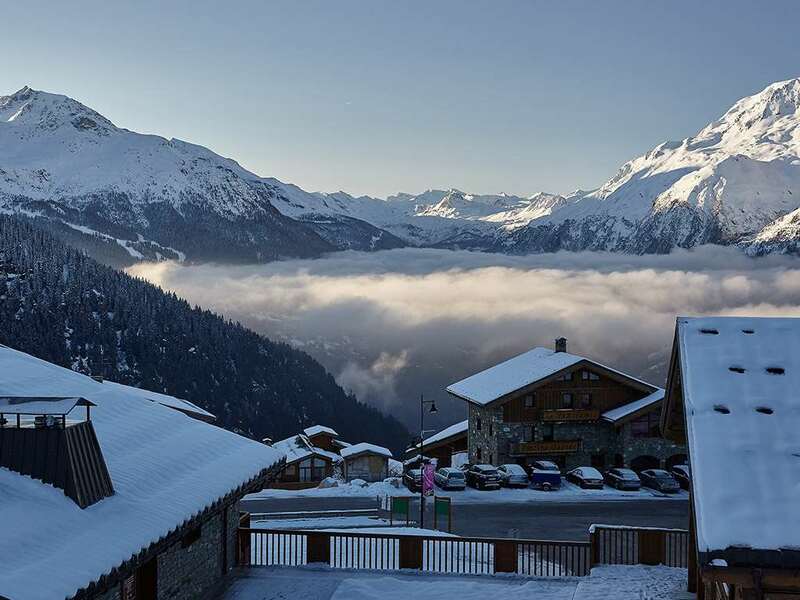 However with its own ski school and hire, bowling alley, ice rink, bars and restaurants, Les Eucherts is a convenient centre in itself.The Chalet Papillon 1 hosts live in within their own self-contained area. Upon arrival, you will find a luxury gift pack in every bedroom. Bring your iPod and enjoy the exceptional quality of our hand-crafted Ruark Audio systems. Each chalet also features a selection of games. Chalet Papillon 1 has six bedrooms all with full en-suite facilities. Note: Rooms 1 & 6 can take a cot. We were blessed with a fantastic week of sunny weather during which the snow held up surprisingly well. There were hardly any queues despite it being a UK-wide half term and we found enough variety of slopes to keep us entertained for the week. The chalet, Papillon 1, was virtually ski-in-ski -out, just a short 40m walk up the hill each morning and crossing the road at the end of the day. The chalet itself was clean, comfortable and welcoming with great food and a very friendly and efficient host in Jenny. Our room was relatively compact and with a good bathroom - a lovely powerful shower! The living area was also comfy and very warm - we didn&#39;t need the fire all week. It felt like perhaps the sofas were showing their age a bit but basically were fine. I would have liked to check out Les Eucherts a bit more - we went to the ice hockey match which was great, but didn&#39;t get to go to any bars. La Rosiere itself is a lovely little village where we had a great dinner at Les Marmots. All up, a really great week. We had such a lovely stay at Papillon 1 in La Rosiere. The beds were very comfortable and the bath/shower was great after a days hard skiing (I&#39;d personally ask for the corner bedroom on the lower ground as we had the best views!) Our chalet hosts, Jenny and Keiron, were amazing! Being a vegetarian and Dairy free I was worried I&#39;d be eating bland food all week but the two went over and above to accommodate me and the food was brilliant! The resort, though small, can accommodate all levels. My husband, a keen off-piste skier, found many runs that he could ski on, whilst I - an intermediate skier, was happy going down the pisted Blues and Reds (I even managed a few blacks!) Being so close to the Italian border really does switch up the day. You could ski the morning in Italy and make it back for apres ski in France. We had a fantastic time and will definitely travel with Ski Beat / Iglu again.